Welcome to the voting round for Best Meme! Voting will last from July 29, 12:00 AM EST, to August 5, 11:59 PM EST. Please only vote once, do not cheat, and scroll up for the Twitter Fiend category! When What's Next? was first posted, there were a total of 18 bloggers participating. The number has never surpassed that, sadly, but I'm hoping it will one day! It's true many of us have reading schedules, what with review copies. But at times, quite a few of those books release on the same day, which is where the problem came in for me. I couldn't decide what to read next, and I realized there are probably other bloggers out there with the same problem. That's how What's Next? was born, about one year ago. As some of you may or may not know, there is a fairly new meme out there in the book blogging world. 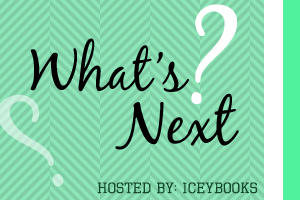 The meme is called “What’s Next?” and is an opportunity for blog followers and reading enthusiasts to help book bloggers decide what to read next. I love this meme because, not only does it allow for interaction with other readers, it also takes away the guesswork when it comes to deciding what to read next. I may not participate in the blog every week, but I do use it when I need help choosing what to pick up after finishing my current read.